Personal injury claims include physical, mental or emotional, and financial losses and damages. You are entitled to recovery for your damages if you can prove that the other party was the cause of the accident, and that your injuries or damages were a direct result of the other party’s negligence. You will only be compensated for those injuries and damages that you prove through careful documentation. If you have been injured, see a doctor and contact the Injury Law Center in Virginia immediately. 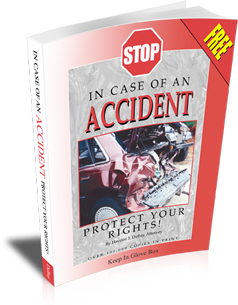 Whether your case involves Auto Accident Law, Maritime Accident Law, Motorcycle Accident Law, Bicycle Accident Law, Truck Accident and Tractor Trailer Injury Law, Wrongful Death Law, Nursing Home Injury Law, Medical Malpractice Law, Pharmaceutical Claims Law, Defective Products Law, Premises Liability Law, or any other type of personal injury law, our network of personal injury attorneys and legal professionals will represent you in recovering full and fair monetary compensation for your injuries. Copyright 2019 Injury Law Center. All rights reserved.